Should you purchase or lease a car? In the past, we either bought a new or used car outright or we had a variety of car finance options to help fund the purchase, including car loans and hire purchase agreements. Now, car leasing plans are growing in popularity too and this presents us with a dilemma - should we lease or should we buy? Let`s take a look at the advantages and disadvantages of both options. For many people, the main advantage of buying outright is that they have full ownership of the vehicle and can maintain it to their own standards. Having full ownership of a vehicle also means there are no mileage restrictions and you can sell or part-exchange it whenever it suits you. You may also find that you have a wider choice of car insurers when you are both the registered owner and registered keeper of the vehicle. On the downside, a vehicle is a depreciating asset therefore if you own it, you take the full hit on its loss of value. This means that if you`ve taken out a loan to purchase the vehicle, you could end up in negative equity i.e. owing more than the vehicle is worth. As a result, you may be tied to driving the same car year after year, rather than being able to afford to change it for a new one. By buying outright you`ll also be responsible for the repairs and maintenance costs after the vehicle`s warranty expires. Leasing has many benefits. As you only pay the difference between the retail price of the vehicle and the residual length of the contract, you can afford to lease a car that would otherwise be out of your price range. This also means that you can regularly change your vehicle for a new one without needing to negotiate part exchange prices or be concerned about how depreciation has affected its value. You can also avoid the maintenance costs associated with owning an older vehicle. For businesses, leasing also provides tax incentives. The main disadvantages of leasing are the mileage restrictions imposed by the lease companies - typically you`ll agree an annual limit somewhere between 10,000-40,000 miles (the higher the mileage limit, the more expensive the contract). 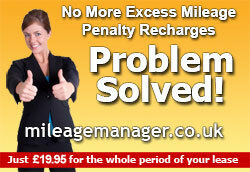 If you do exceed your agreed limit then an excess charge per mile will be applied at the end of the contract. You`ll also be tied into the contract for an agreed length of time, usually 12-48 months, this means that you can`t simply exit the agreement or sell the vehicle because your circumstances have changed. You`ll also need to keep the car in good condition in order to avoid charges at the end of the lease. You may also find that as the registered keeper of the vehicle, but not the registered owner, you may not have such a wide choice of car insurers willing to offer you cover. If you do decide to buy rather than lease, and you need finance to fund all or part of the purchase, you should organise this before finding a car. Showroom finance deals usually work out more expensive than if you were to shop around for a low rate personal loan, although some dealers do offer 0% finance incentives. If you do arrange finance before you find a car, you`ll be in a much better bargaining position than you would be if you were relying on the dealer`s finance scheme. Once your finance is approved you are the equivalent of a cash buyer, and this gives you much more room to haggle. These days there are tons of ways to locate cars for sale. Far from being tied to your local showroom, you can now buy new cars online and at car supermarkets at discounted prices. Compare as many prices as possible in order to get the best deal. If you do buy from one of these sources, check that the vehicle comes with all the usual benefits that a main dealer would offer, such as a warranty and access to a franchised dealership for servicing and repairs. Once you`ve found a car, you`ll typically be expected to put a deposit down to secure its sale. You should be provided with a sales contract that includes your details, the details of the car including the purchase price and the amount of your deposit. Always read the small print. If you are buying from a private individual rather than a dealer, ensure you get a receipt for any payments made. On the day of collection or delivery, inspect the vehicle thoroughly before you officially take receipt. Check that the car is as you expected and that you are given both sets of keys. If you are not happy with the condition, you`ll need to agree a resolution. Once you`ve found a leasing company and chosen a car, you will be offered a choice of leasing plans. Usually the choice will be between personal contract purchase and personal contract hire. The former is designed for those who wish to own the vehicle at the end of the contract, whilst the latter allows the vehicle to be handed back at the end of the term. The lease company will present you with contract under which you agree to pay a schedule of monthly instalments (typically one to four years). At the end of the term you either hand the vehicle back, take out a new lease on a new vehicle or pay an agreed sum to purchase the vehicle you have been leasing. Depending on your individual contract, you may be required to put down a deposit at the start of the contract or pay a lump sum at the end. Your contract with the lease company may include road tax, breakdown cover and the servicing and maintenance of the vehicle, plus delivery and collection. Gap insurance covers against financial loss should your car be written off or stolen. It is designed to bridge the gap between the current market value at the time of write off or theft and the original purchase price and any outstanding finance. If you are on a car leasing contract, gap insurance will protect the shortfall between the outstanding balance and the total loss settlement offered by the insurer.